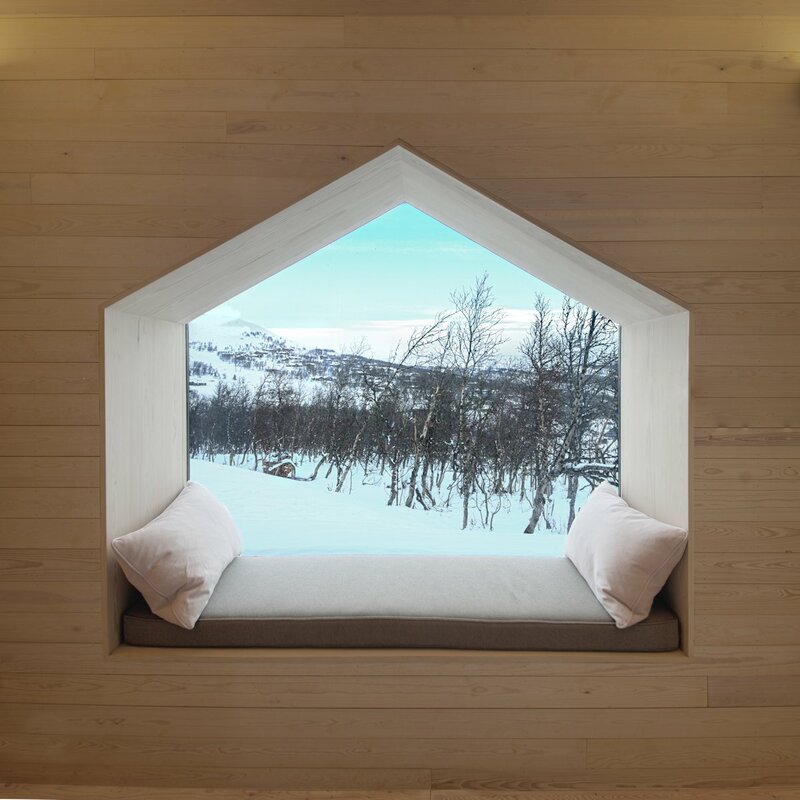 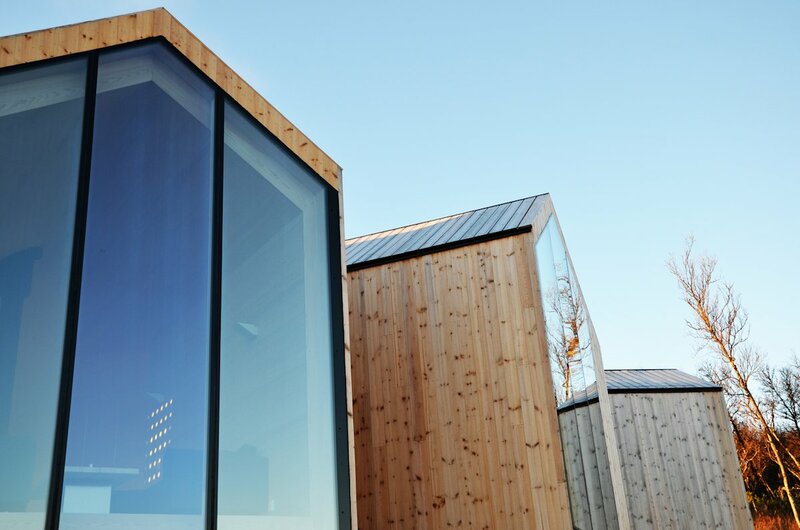 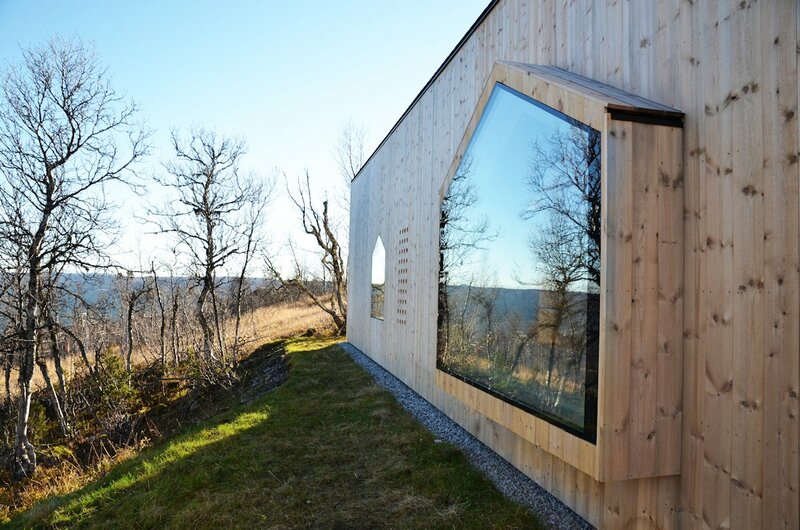 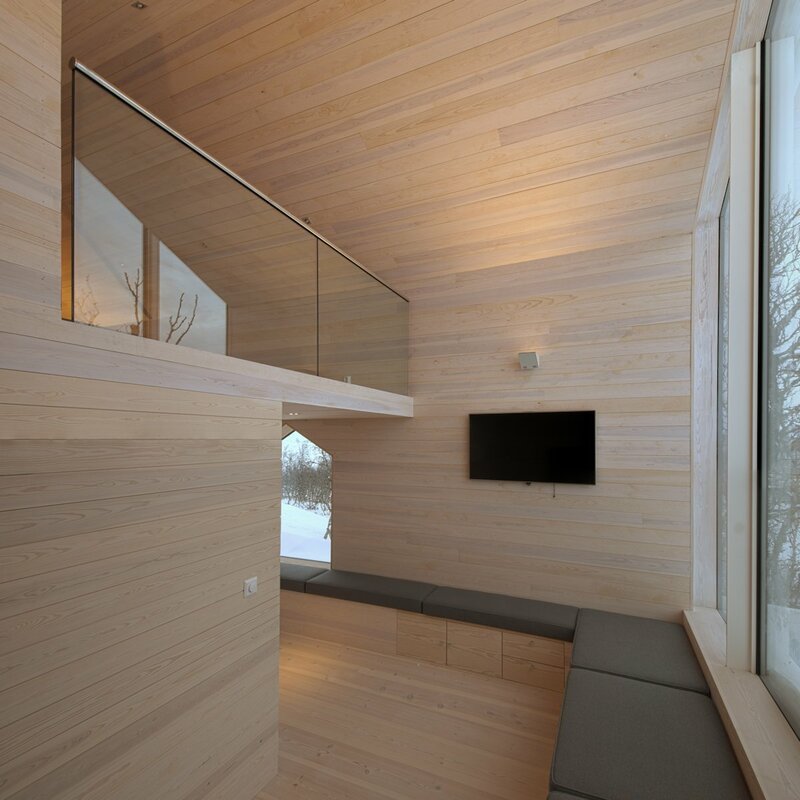 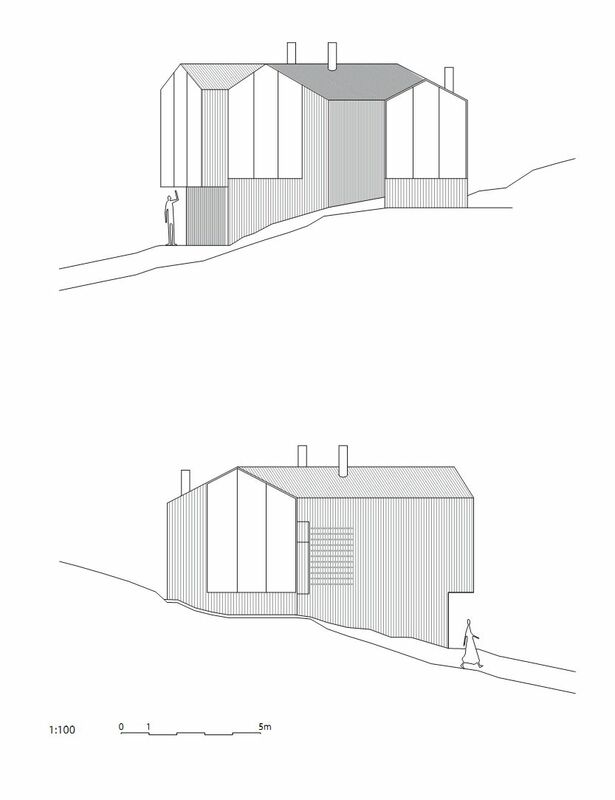 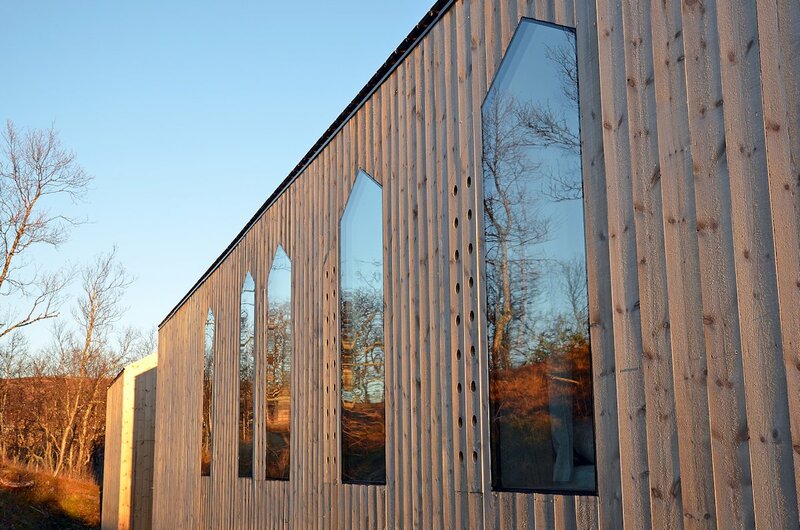 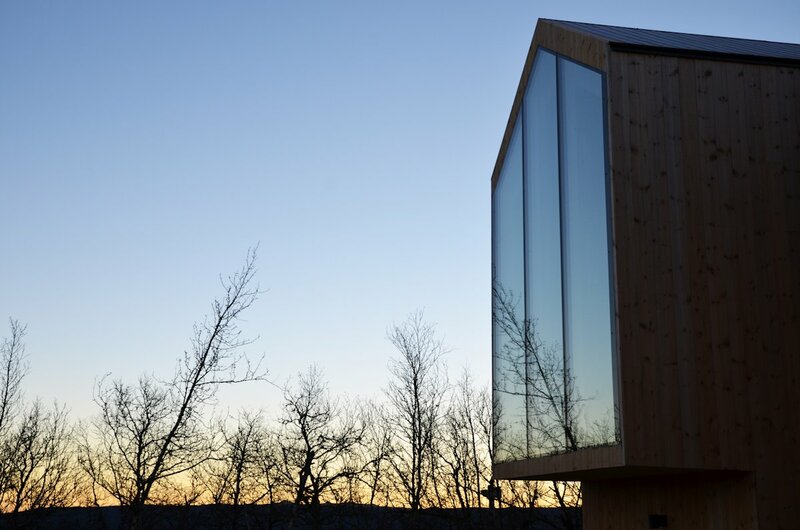 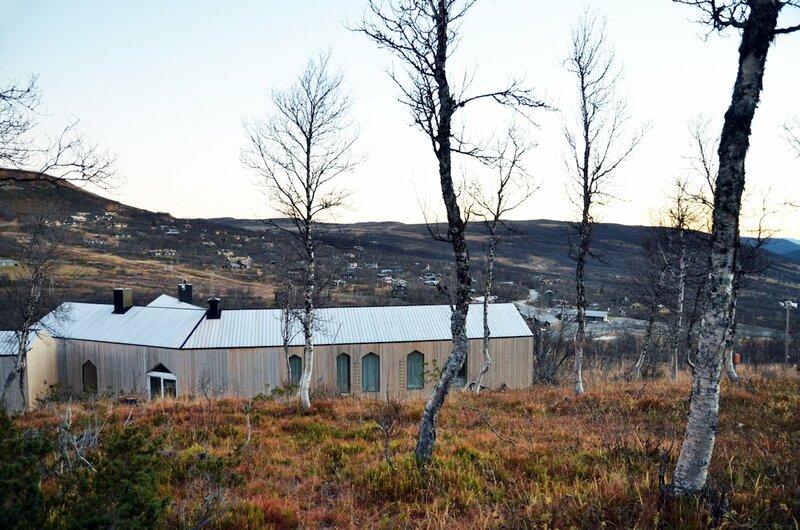 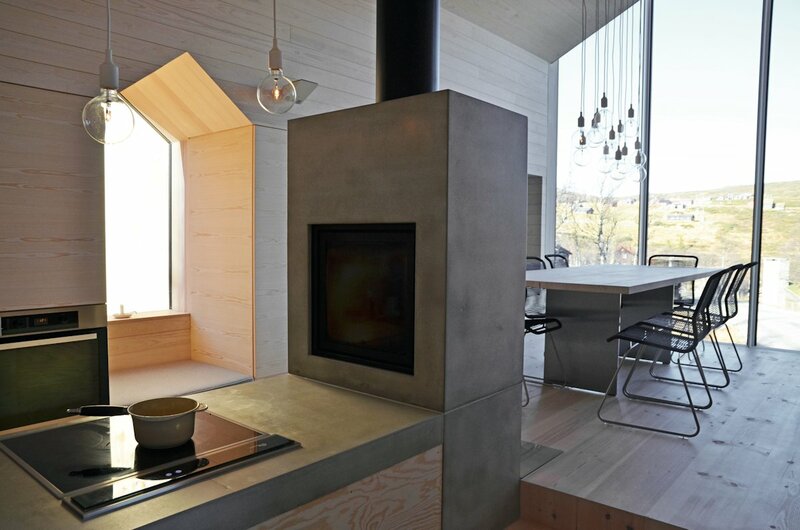 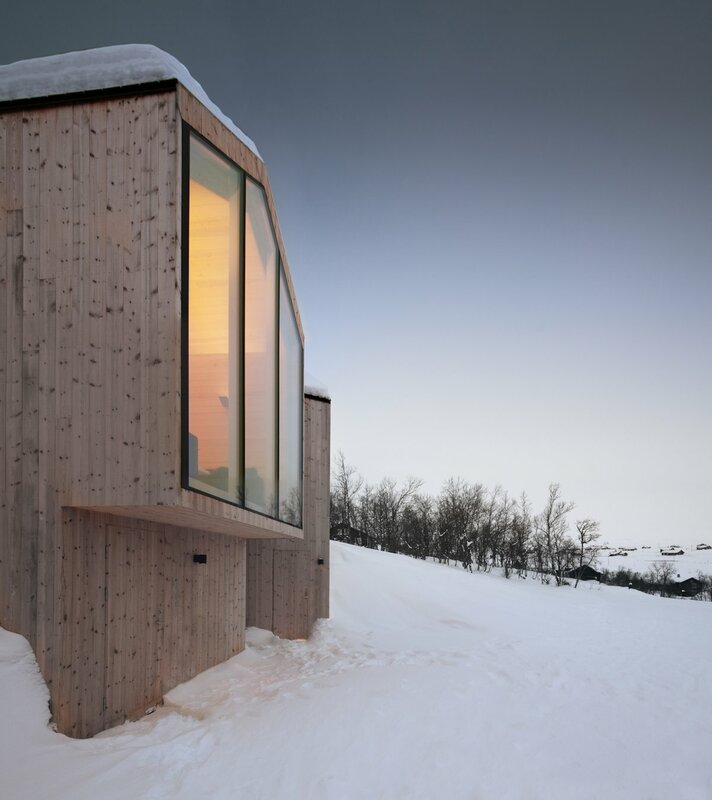 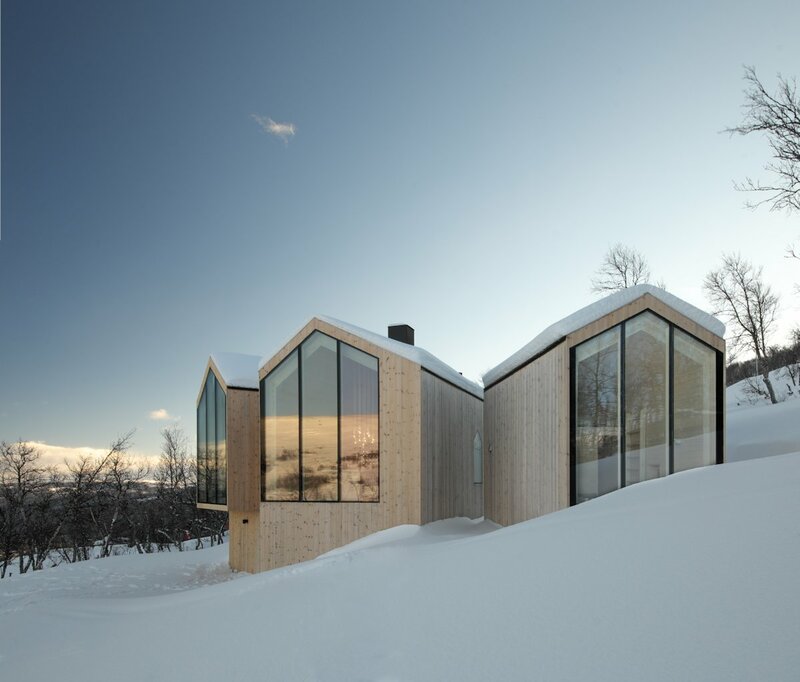 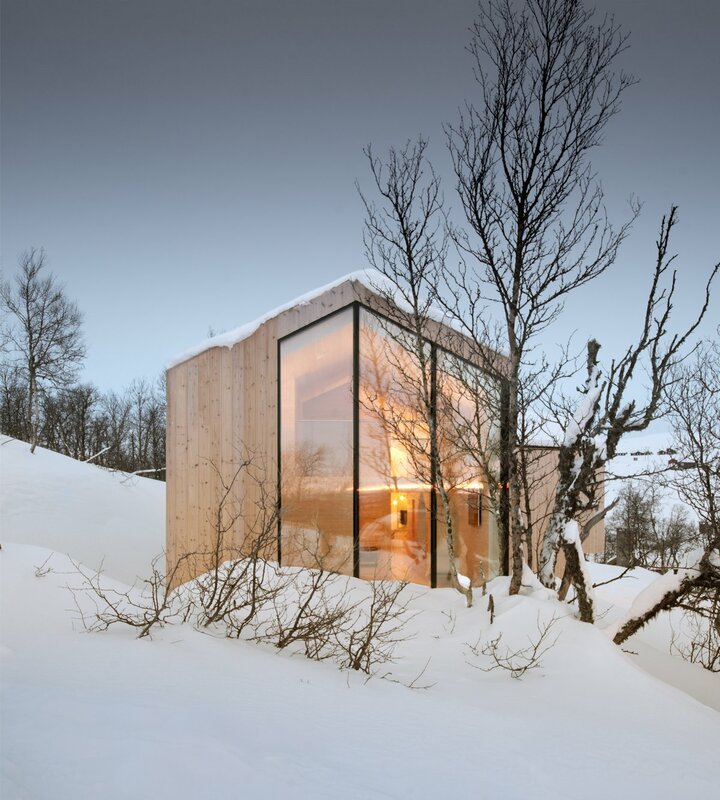 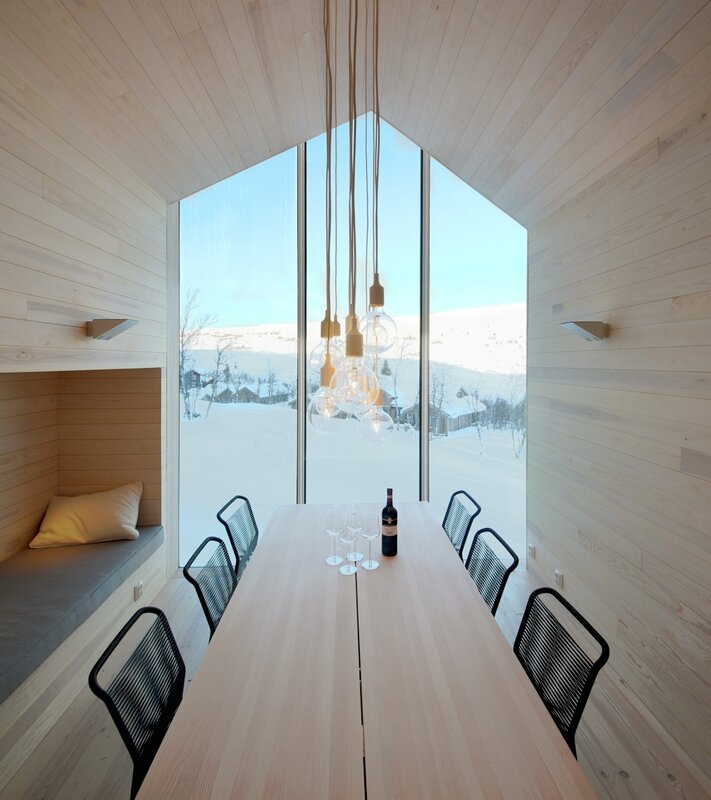 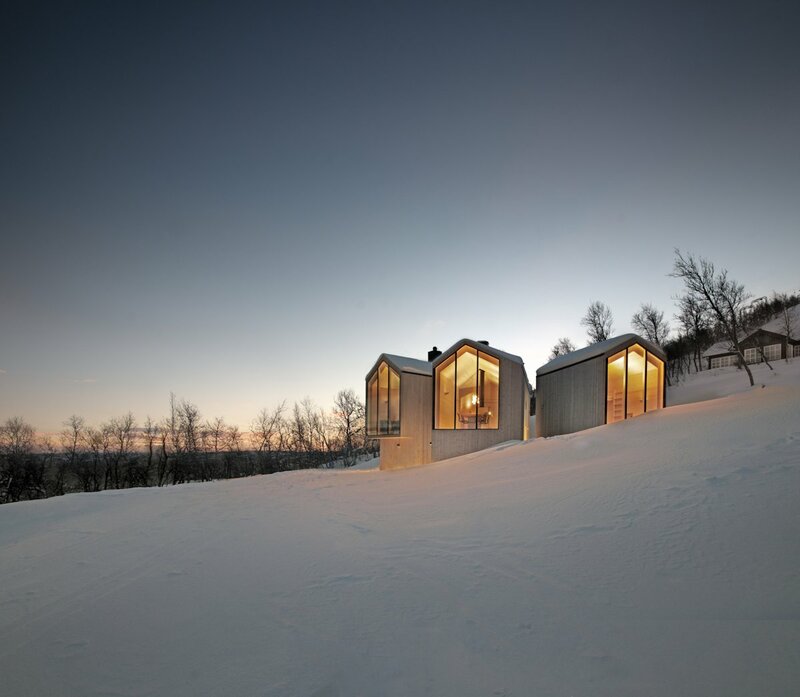 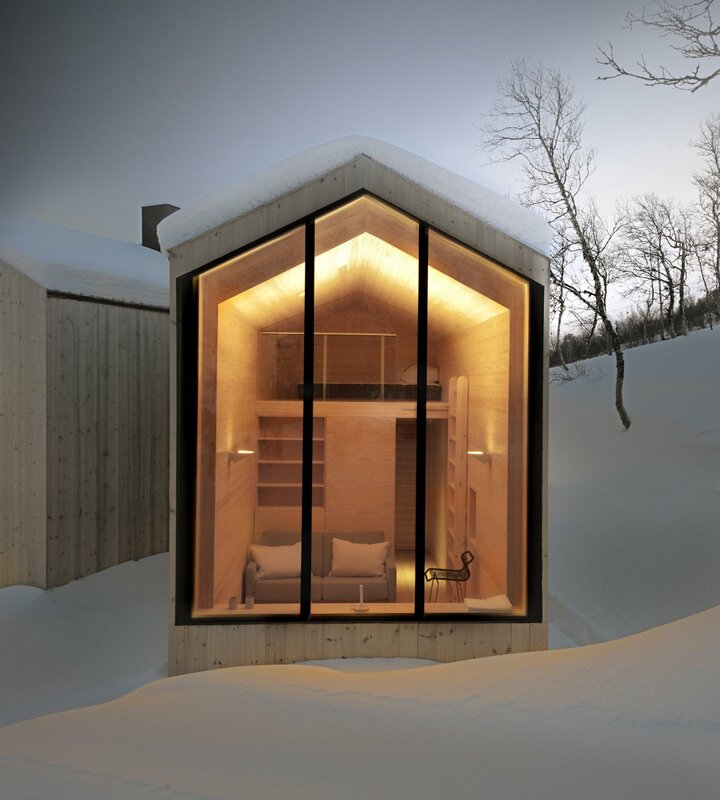 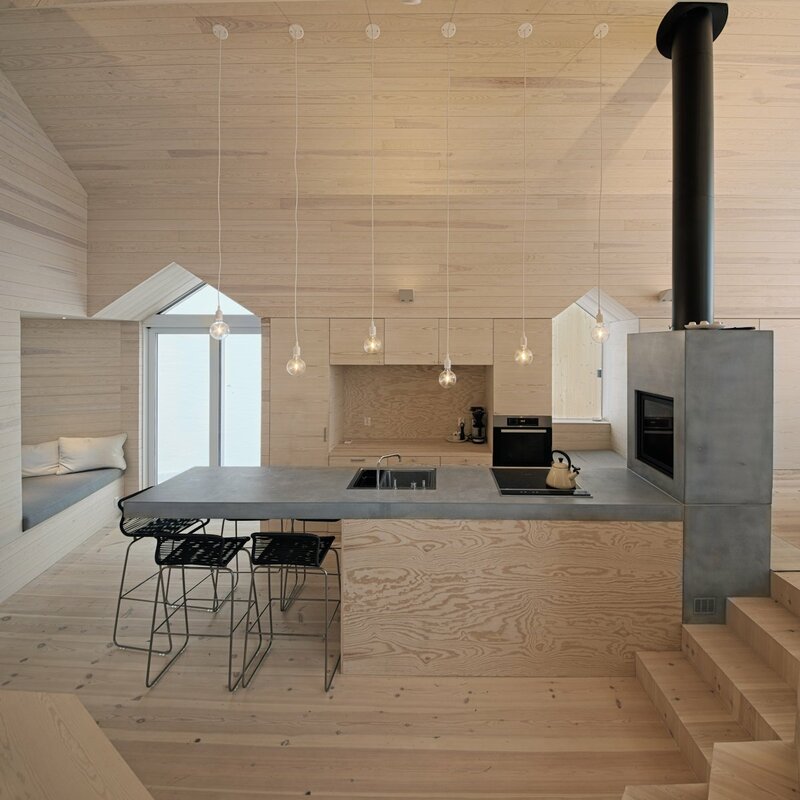 The Split View Mountain Lodge was completed in 2013 by the Oslo based studio Reiulf Ramstad Arkitekter. 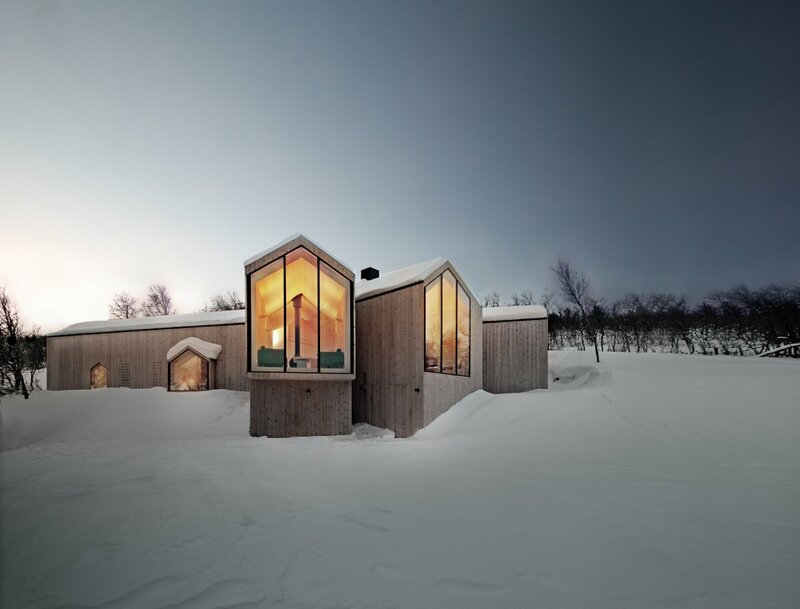 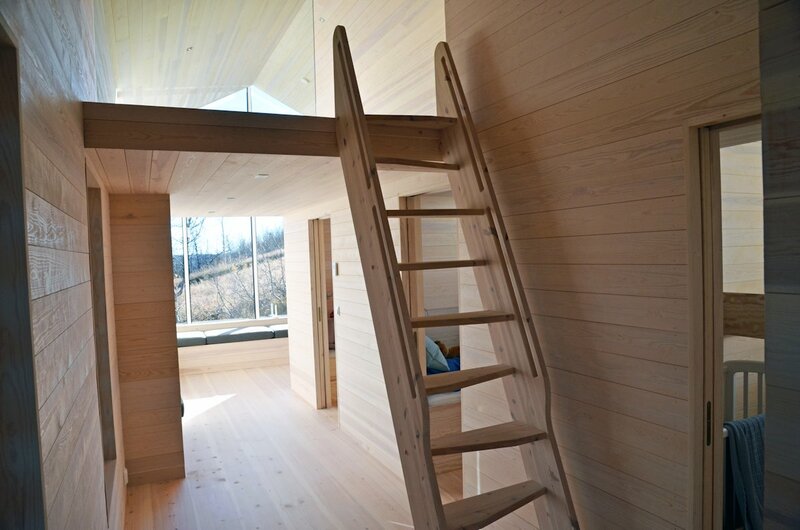 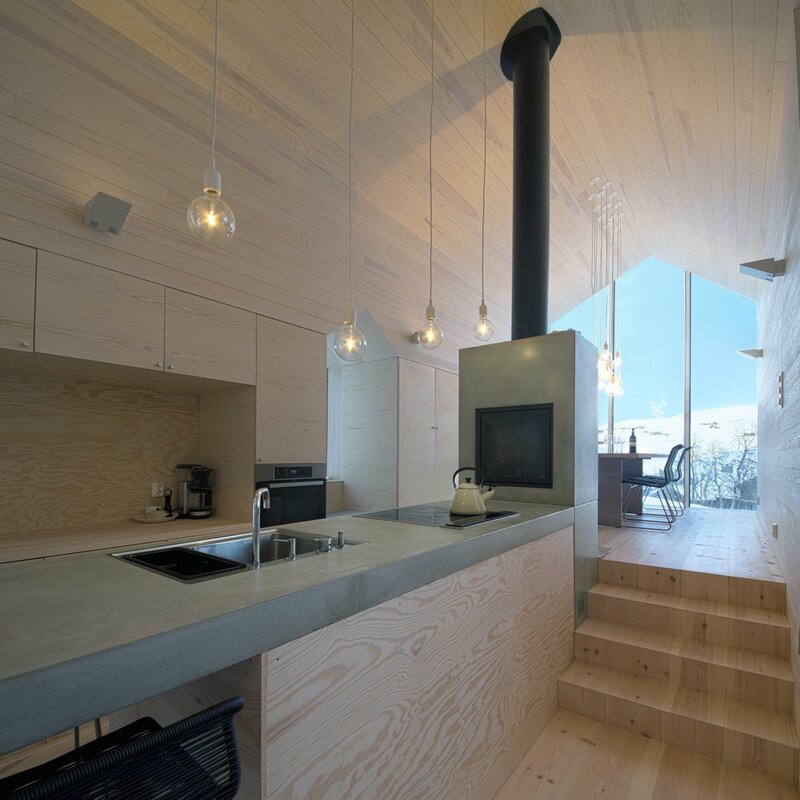 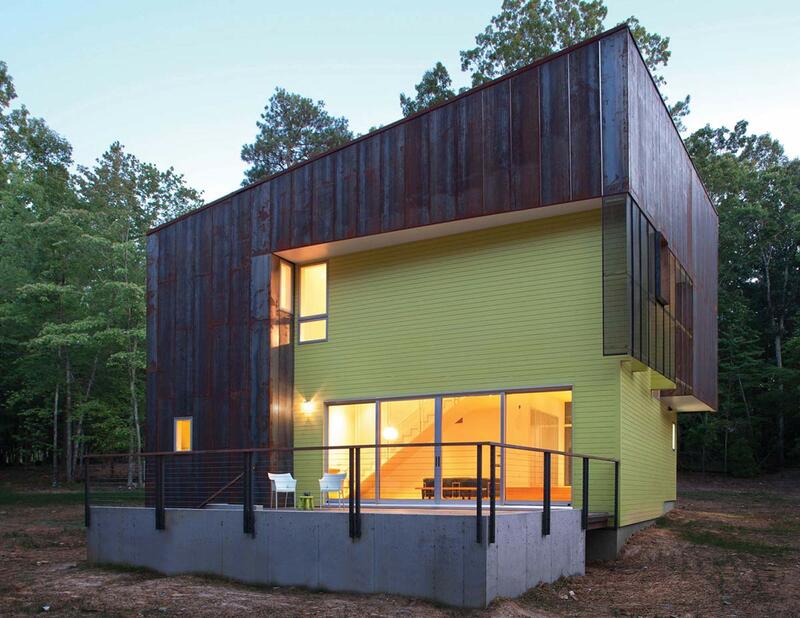 This fabulous timber-clad cabin has been built for a young family as a winter holiday retreat. 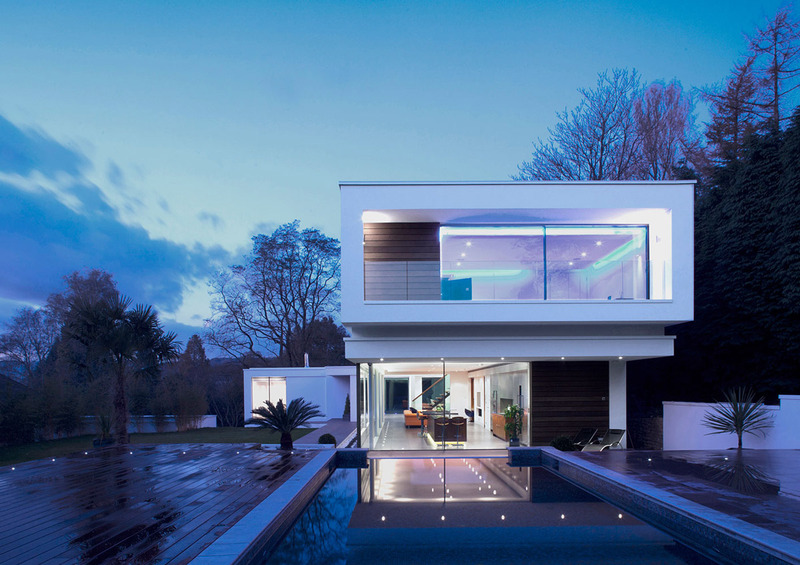 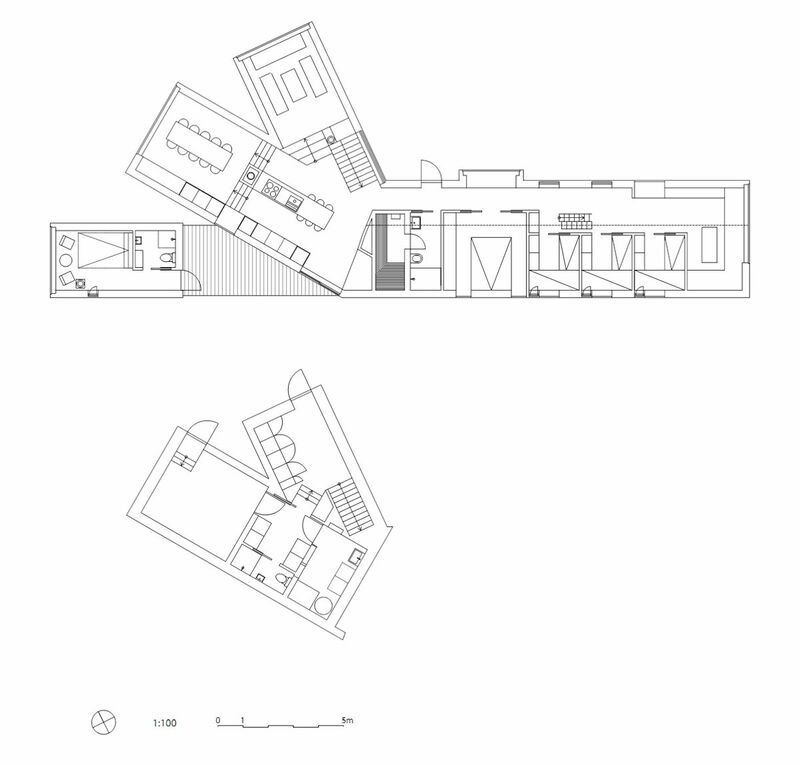 The four bedroom home has a separate ‘youth’ lounge and mezzanine for the younger children, a small annex provides accommodation for visiting grandparents and friends. 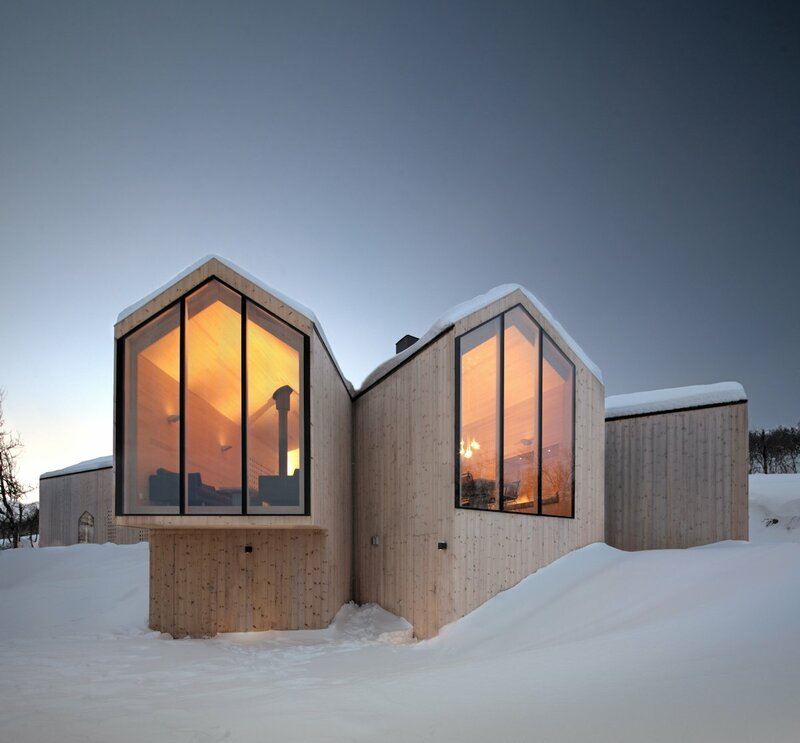 The Split View Mountain Lodge is located near the village Geilo, a popular skiing destination in the Hallingdal valley, Buskerud County, Norway. 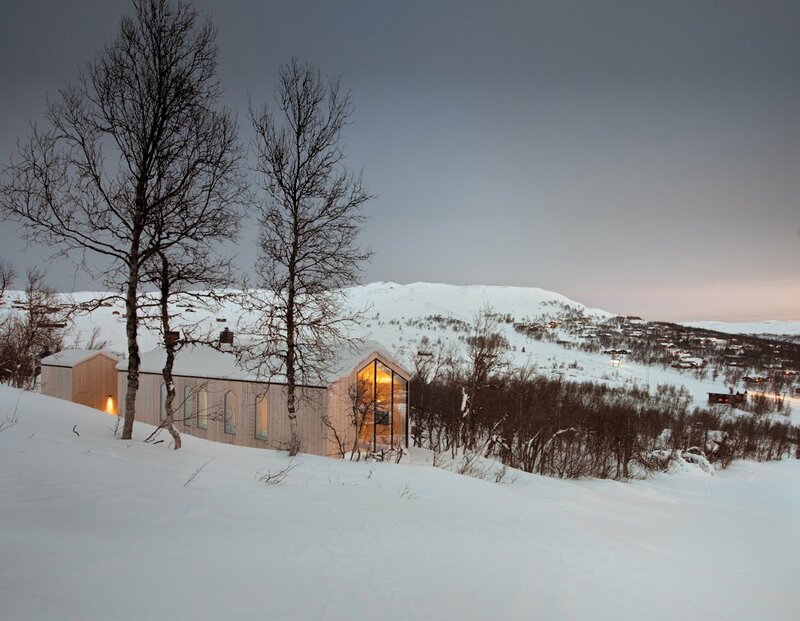 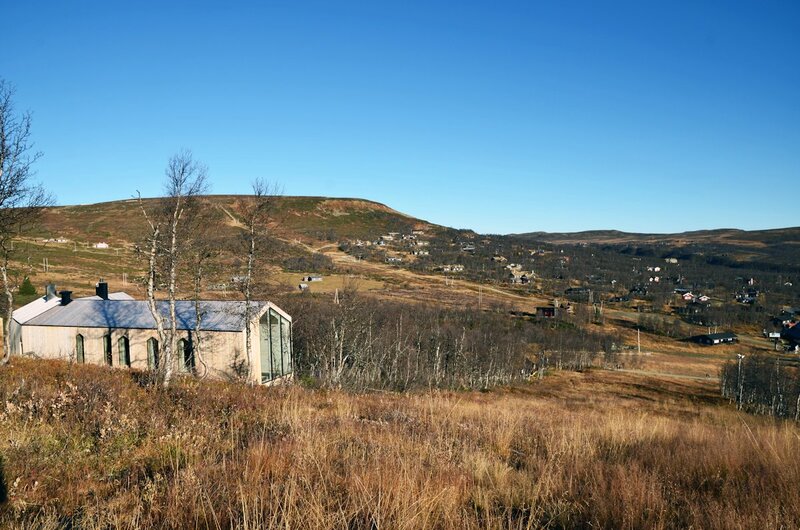 “The holiday home is located near the village Geilo, a popular skiing destination in the valley Hallingdal. 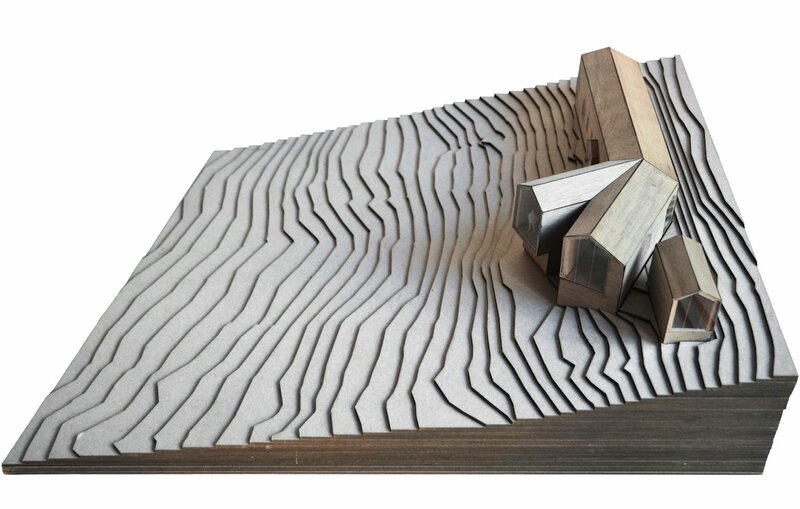 Ski resorts are abundant around the lodge, with a freestyle terrain park right next to the site. 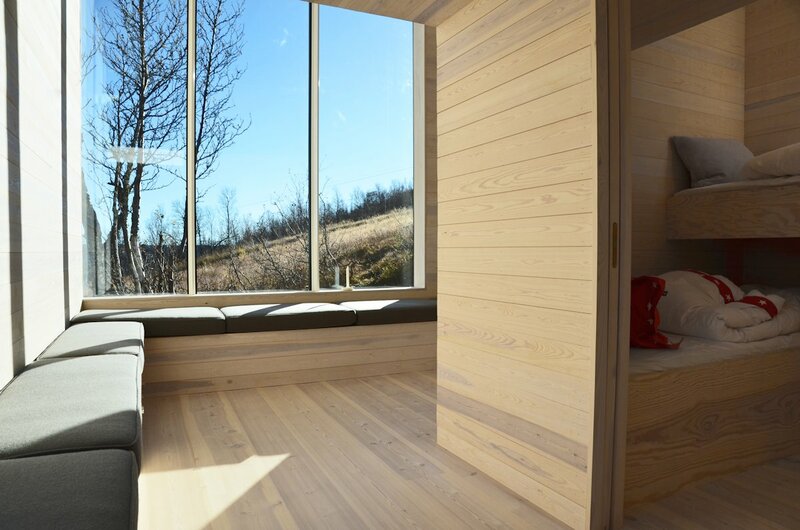 Out of winter season, the mountains provide excellent hiking opportunities as well as other sporting activities. 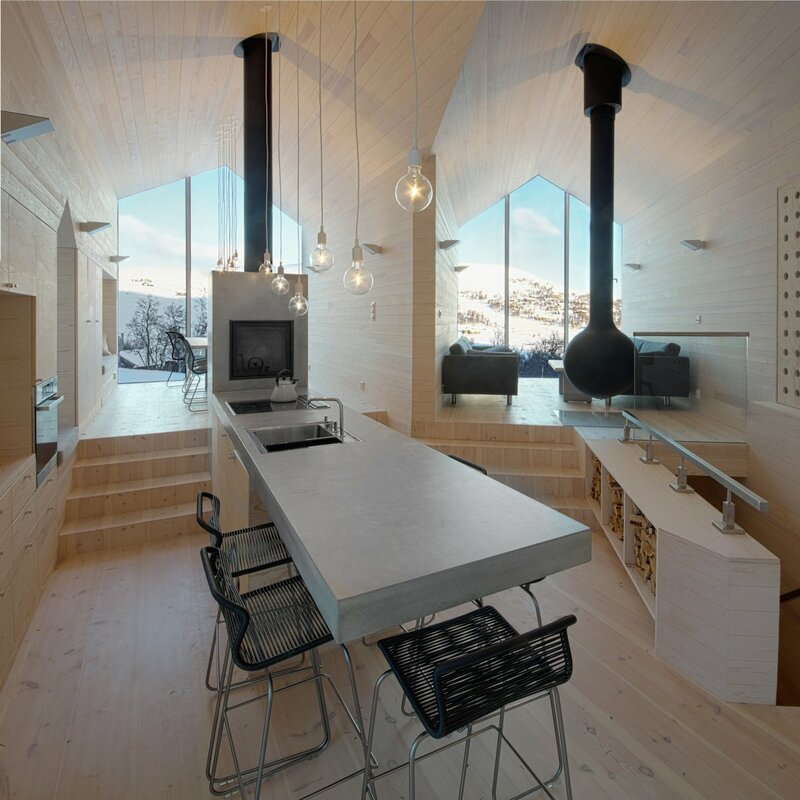 The family of four with anticipation of a fifth addition provided a straight-forward program for their mountain lodge: four bedrooms, separate living and dining areas, a youth lounge and a mezzanine for the younger children. 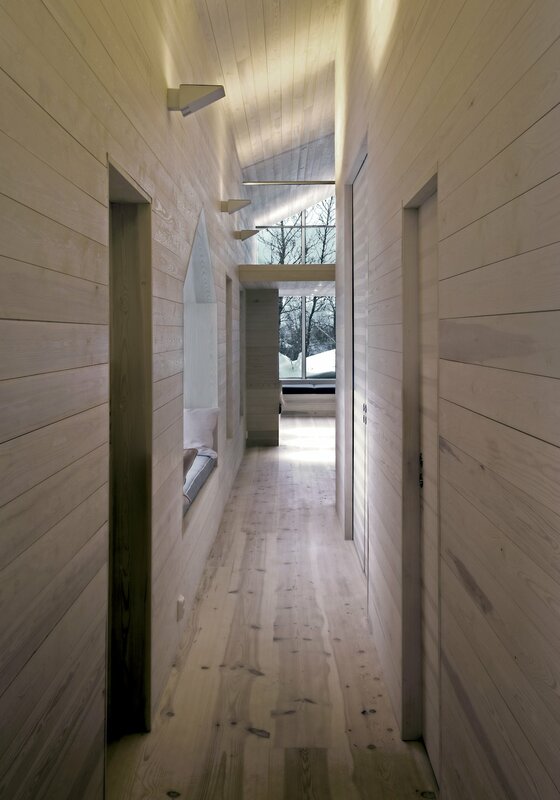 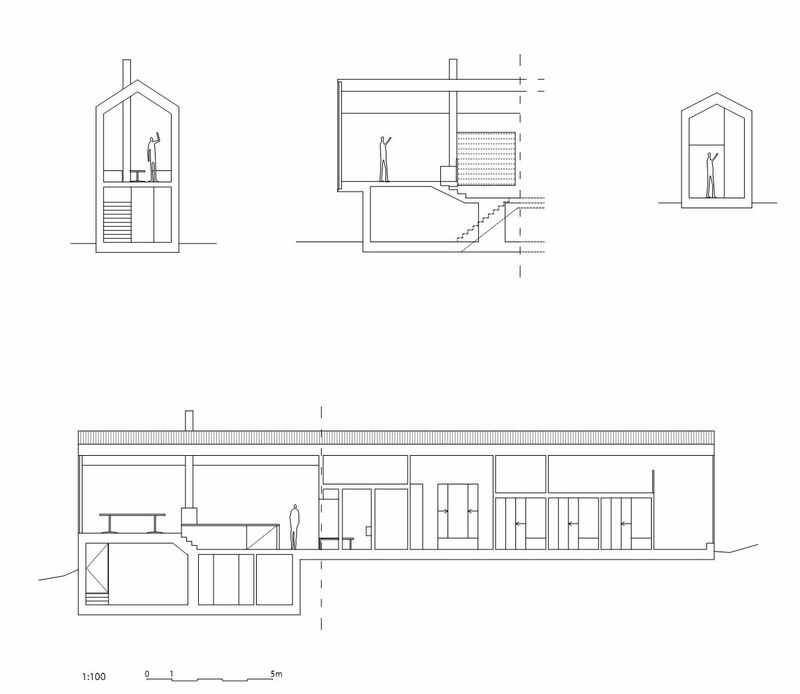 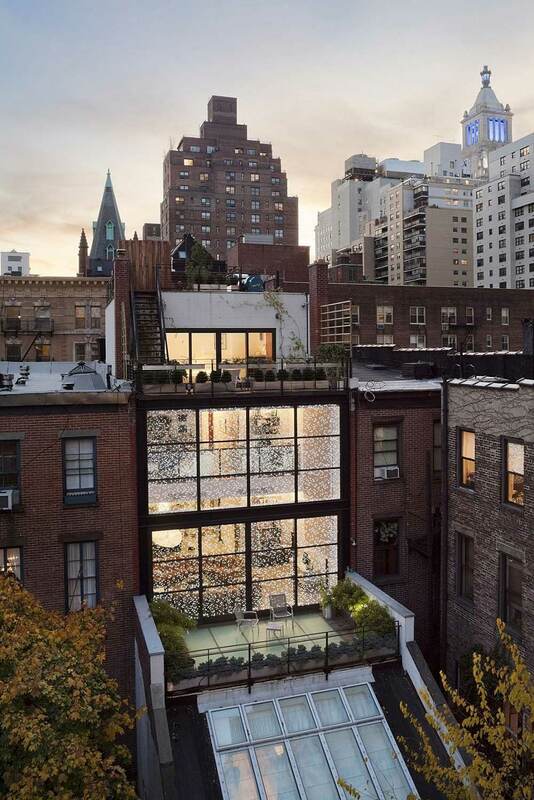 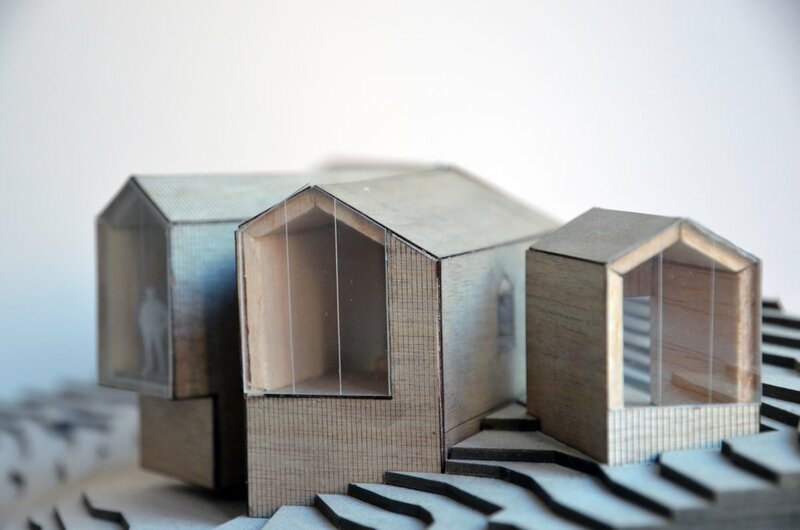 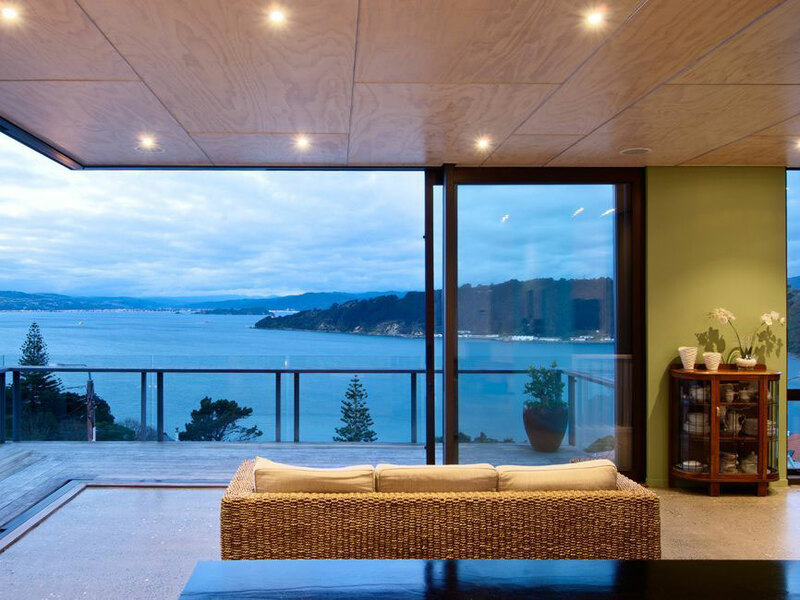 In addition a small annex would accommodate guests and visiting grandparents.